BDC Laboratories’ RDTL-0200 accelerated radial durability stent test system incorporates our internally developed and patented RB-5™ Drive System and patented Dual-Drive Emulator technology. The combination of these two technologies produces balanced pressures at either end of the test sample simultaneously, eliminating the need for two drivers yielding increased reliability. The radial durability systems are controlled and monitored though BDC’s developed and validated Statys® RDT closed-loop control and monitoring software. BDC’s pulsatile durability stent tester achieves the requirements of many different technologies under a vast array of configurations while meeting international and US test standards ISO 25539 and ASTM F2477, respectively. One RDTL-0200 system can be utilized for many sample sizes and configurations by simply changing test system manifolds. Regulatory Compliance: Complies with all applicable European Union directives and standards for safety and EMC. CE Marked. Optical Micrometer with Stand: An optional optical micrometer for the RDTL is available for taking accurate dynamic sample distention and strain measurements. The micrometer can be positioned with a linear micrometer stage to measure anywhere along the sample length, and all system samples can be measured by simply rotating the manifold into the measurement region of the micrometer. Each micrometer kit comes complete with an optical micrometer transmitter and receiver, upright support, guide, linear micrometer stage and counterweight. Test System Manifolds: The RDTL gives you the choice of four standard manifolds that allow one to test straight, curved or bifurcated prostheses up to 400 mm long. Custom system manifolds are available upon request. Adjustable Manifold Channels: Each pair of manifolds on the RDTL-0200 is connected with a pair of infinitely adjustable telescoping stainless steel channels that allow the manifolds to be secured at any distance from each other to accommodate the specific test samples being evaluated. Additional Adjustable Manifold Channels are available to accommodate the full range of mock vessel lengths. Low Pressure Regulator: The Low Pressure Regulator is a precision pressure regulator designed for applications that require high resolution such as the RDTL-0200 System. The Regulator features control sensitivity of 1/8″ water column, a pressure range of 0-10 psi, and a balanced supply valve to deliver consistent and reliable accuracy to maintain the system desired set point regardless of supply pressure changes or flow conditions. Silent Air Compressor: The optional Silent Air Compressor is a whisper quiet air compressor featuring an inline regulator and moisture trap with a noise level of a mere 30 dB. The Compressor features a convenient carry handle on top with an operating pressure range of 55-85 psi. Silicone Mock Vessels: BDC Labs offers certified silicone mock vessels in straight, curved, bifurcated or custom, customer defined configurations for mounting stents, stent grafts, transcatheter heart valve frames and other endovascular implants on the RDTL-0200. 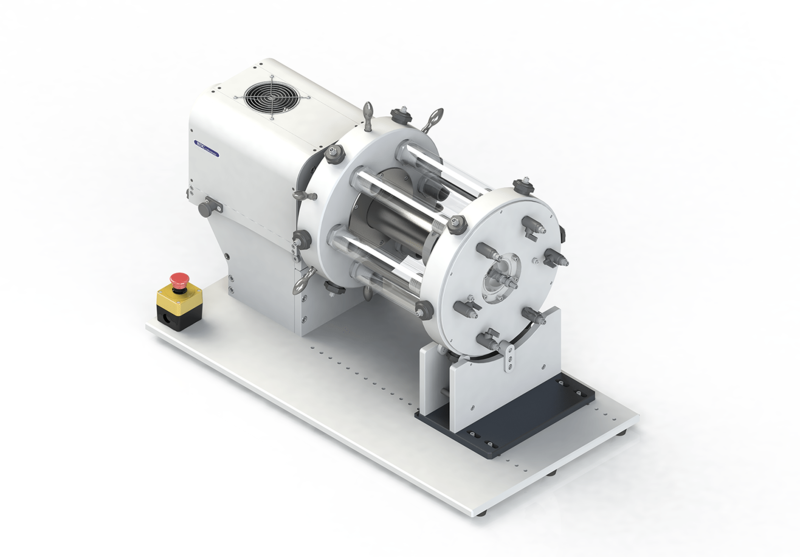 Our mock vessels can be fabricated and certified to a diametric compliance or wall thickness, and the certification can be performed at various pulse pressures to meet your specific requirements (e.g., 160 mmHg/80 mmHg).